The body and car of a Palmer man who was reported missing have been found, Alaska State Troopers and a private investigator working with the man's family said Saturday. Keith Ben Aumavae, 30, was last seen on Oct. 19 and was reported missing on Oct. 27. Luke Smith, a private investigator who has been working pro bono with Aumavae's family to find him, said Saturday that his body and car were found "over a cliff at Point MacKenzie." "Until an autopsy has been performed, we do not know anything other than that," Smith said. "The family is asking for privacy in this time so they can mourn their family member." On Thursday at about 4:50 p.m., Alaska State Troopers received a report about a vehicle at the bottom of a cliff overlooking the inlet near Goose Bay Airport, the agency wrote in a dispatch Saturday afternoon. Troopers located Aumavae's 2001 Chrysler Sebring down a 100-foot cliff. Friday around 4:30 p.m., troopers reached the car with the help of the Alaska Mountain Rescue Group and inside found remains believed to be Aumavae's, the statement said. The car "was partially covered with silt and only accessible at low tide." The remains were sent to the State Medical Examiner Office for identification and to determine the cause and manner of death, troopers said. An investigation is ongoing. Smith said troopers have impounded Aumavae's car. 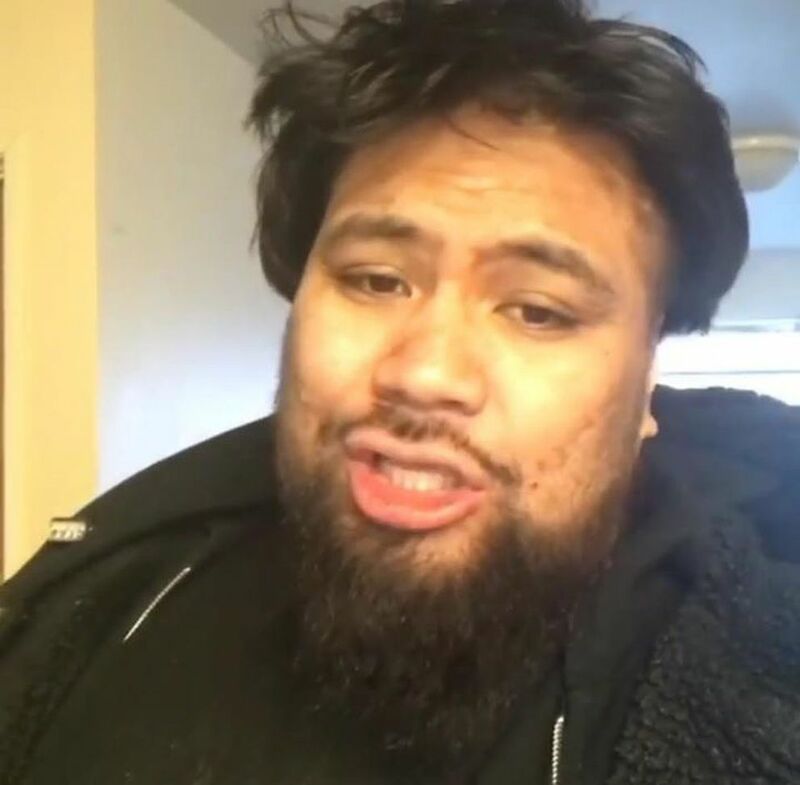 Relatives had described Aumavae as having multiple personality disorder and schizophrenia, Alaska Dispatch News reported earlier this month. He was one of 13 brothers and sisters. In a Facebook group called "Search party for Keith Aumavae," Jenna Aumavae wrote a post Saturday about Keith being found. "On behalf of the entire Aumavae Family, we want to thank all of you for your love and support," she wrote. "Please continue to pray for our family as we prepare to lay him to rest and for the troopers as they investigate what happened to our dear brother." Some family members had flown in from out of state as part of the effort to find Aumavae. Troopers said in a statement that Aumavae's family has been concerned about him because it was "out of character for him to not be in regular contact with them or for him to not be at his Palmer residence for days."